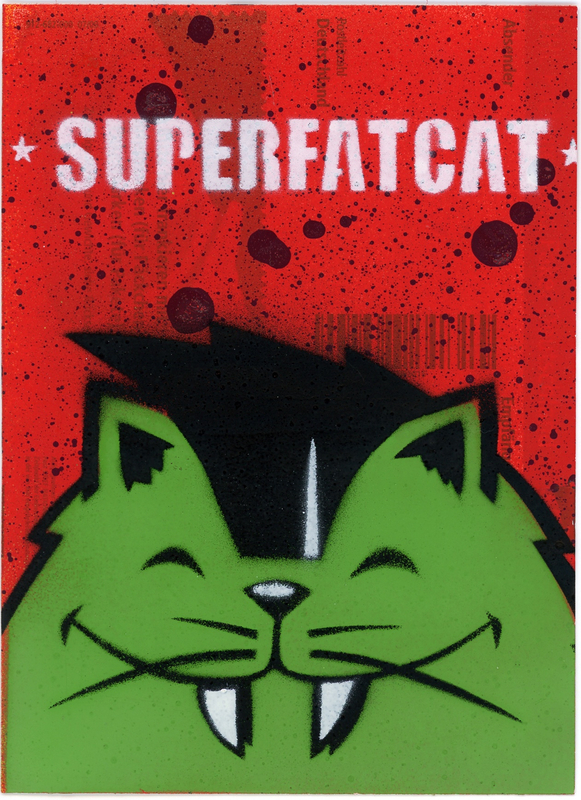 This sticker features a green cat with a toothy grin on a red background along with the artist’s tag: ‘SuperFatCat’. To describe his work as an artist, SuperFatCat says, “My work explores the relationship between the tyranny of ageing and urban spaces”. Most of the artist’s work, including graffiti and wall murals, features cat figures and sometimes includes the abbreviated version of the artist’s name, ‘SFC’.